Well, it’s been a pretty long time since I’ve written anything on here. I’ve been getting a lot more in to gaming lately and have been neglecting some of my web presences. Well, now I am dedicated to keep writing something here at least every once in a while. Some of my astute followers may notice that over the past few days, I have made some changes to my blog. It now has a full mobile theme, including an iPad theme. I have also implemented commenting by Disqus. Also of note is the fact that I removed the ad to the right of the page. I never got any money from that thing and to be honest, the ads that were on there were just annoying me; not to mention were going against the guidelines I had set for ads. I have a few things in my head that I will write about reasonably soon so stay tuned! Good to see that you are posting again! 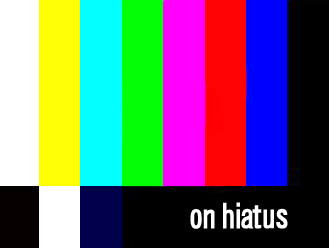 I’ve been struggling to stay on top of my own blog, so I can appreciate the hiatus. Well, there have been no new posts as of 28th may 2012. I liked reading your posts. I guess there aren’t going to be any more.